Rod, in many ways this sounds like a redo of my own early years and my Sears 60mm refractor, and especially how you used the EQ mount! I did the same. LOL My folks were, and still aren't interested in my hobby, but Dad was fully supportive of it at the time I needed him to be. Thankfully I still have both of them at my 50 years of age. Unk, almost every one of your posts makes me doubly glad that I finally sprung for a scope, and also makes me wish I was out using it right now instead of hunched over the laptop. This one more than most. Thanks, sincerely, and Merry Christmas! I got a Tasco telescope, a spotting refractor since it only had a straight-through "EP" which couldn't be replaced. My grandfather gave it to me as a kid, and I can't remember how old it was when I got it but the box it came in looked like it was from the 1960s (I got it in the 80s). Still it had a tripod 1/4"-20 adapter and provided nice views of the moon and of the stars even though it was probably only 60mm if I recall. Anyway, I still think of that long gone telescope from time to time when observing through the C8 or ETX-125. Nice article this week. 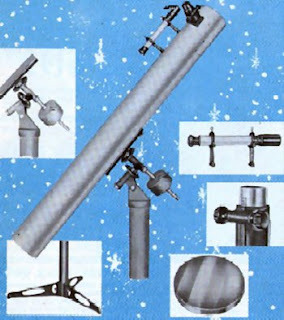 My telescope of childhood was a KMart 3 inch refractor. I ended up selling it when I was in the Air Force...no time for astronomy then. 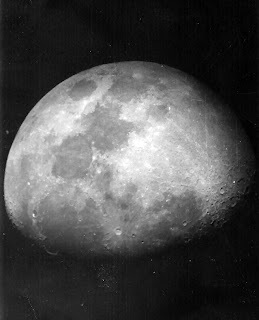 That was way back in 1977, and I did not get a replacement telescope until 1997, 20 years later. I do not miss the old refractor. The mount was a yoke, and it had a fixed eyepiece with a built-in barlow. 1964- MY "Year of Astronomy".